The search for Suluo Ratuba who was reportedly washed downriver by swift currents in Navala, Ba, on Friday will continue today. Police called off the search late yesterday because of bad light and unfavourable weather conditions. Last night, a Fiji Sun team talked to his widow, Veronika Dakua. She sat helplessly in the comfort of her home in Navala surrounded by women who had dropped in to provide her with solace. She held onto hope that her husband would be found alive. 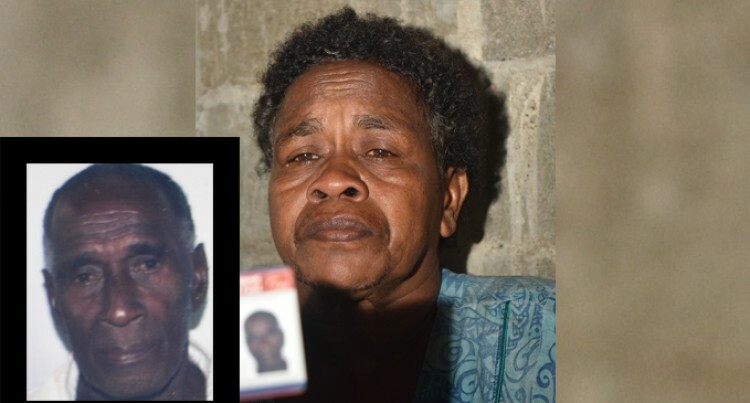 According to Ms Dakua, her husband, in his 70s, was swept away while trying to cross the Yaloku Bridge on Friday afternoon. To reach Navala Village in the prevailing adverse weather conditions is no mean feat. Firstly, one has to drive through wild terrain inland from Ba Town for several hours. Along the way, one has to cross two bridges. The first one has been partially washed away. To wade across the flooded river is the biggest challenge. The help of friendly villagers was mandatory in this case. Upon reaching the village, Ms Dakua recounted that the last time she saw her husband was during breakfast on Friday morning. “We had breakfast and his last words to me was that he would go and check on our plantation to get some ‘vudi’ (plantain, a variety of bananas). “He had not checked on our plantation since the onset of bad weather last Sunday. “It was a normal day for us but there was heavy rain in the mountain. I was told to check on our cow. “I returned a bit early to prepare our dinner and I waited and waited till late into the night for his return. If he isn’t alive Ms Dakua hopes that they will find his body soon. “One thing about him is that he always returns home before dark since he is always afraid of the current,’’ Ms Dakua said. She was told her husband was among a group of five who were trying to cross the flooded bridge when the incident happened around 4pm. The couple have a son and two grandchildren.